In fact, witnesses at the time thought the suspect was tall with red hair. Tobin was short with brown hair. This suggests it was someone from a protestant rather than catholic background. Catholics in Scotland did not routinely study the bible until after Vatican II and even then it only became common in the 1970's. However, the police have said recently that this aspect is more of a media creation and the witness who had reported it had described it as a passing comment not a repeated subject of conversation. 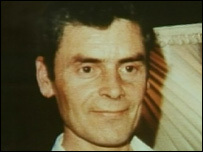 Tobin's age at the time of the first Bible John murder was 22 which is within the age range of the suspect. The current police position on the Bible John killings seems to be that they were probably carried out by different people and they are all separate crimes. This is why they have been reticent to speak about any potential connection with Tobin and could explain why the photofit and the artists impression are so different. They may be of entirely different people. Apparently there is DNA evidence from one of the crime scenes so the Police may be able to settle this question finally.